Rocker Ronnie James Dio died at age 67, May 16, 2010. 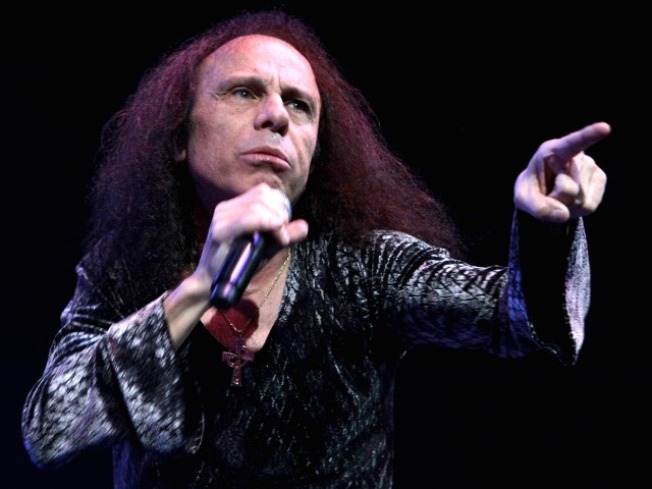 Metal rocker and pioneer, Ronnie James Dio, died at the age of 67, Sunday morning. The soaring vocalist was best known for replacing fellow metal head Ozzy Osbourne as frontman of the band Black Sabbath in 1980. Dio announced last summer that he had been battling stomach cancer, but hoped to return to the stage to perform again. "Today my heart is broken," said Wendy Dio, the singer's widow on his official website. "Please know he loved you all and his music will live on forever." Dio's won acclaim from fans and critics alike for his pounding lyrics about the internal struggle of good versus evil and the Black Sabbath album "Heaven and Hell." "He possessed one of the greatest voices in all of heavy metal, and had a heart to match it," said Twisted Sister guitarist Jay Jay French, reported the Associated Press. French added, "He was the nicest, classiest person you would ever want to meet."